Black SBR industrial cooling/water hose. 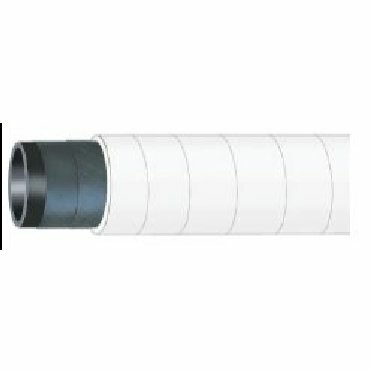 Designed for furnaces in foundries, glass works, steel mills and other work sites that require a hose to withstand extreme external temperatures. Durable heat resistant aramid cover withstands steel splashes and external heat radiation to 572 degrees F.
Hose construction is electrically non-conductive.